Recently, many customers have called to ask how much small concrete agitator, in fact, there are many types of small concrete mixers, and different types of concrete mixer prices are different. Small concrete mixer type is more, common small drum mixer models are JZC250, JZC350 and JZC500, single horizontal-axis small mixers are JDC350 and JDC500, small twin shaft mixers are JS500, JS750 etc., and these small mixers’ output and performance is different, the price difference is big, we can choose the appropriate type according to our own projects. 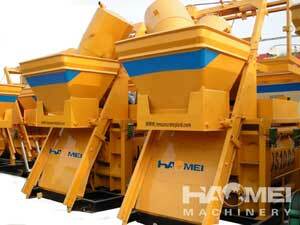 n general, with same output, small drum concrete mixer price is lower than single horizontal-axis small mixer, and single horizontal-axis small concrete mixer is lower than the double shaft mixer. We produce all kinds of small concrete mixers with reliable quality and perfect performance. We also provide pre-sale, in-sale and after-sale service to make you buy and use them safely. If you aren’t sure particularly which model is required, you can dial telephone counseling on our website, we will recommend suitable model for you according to your actual situation and provide you with concrete mixer machine price list.